We use numbers a lot everyday that we sometimes do not even notice. They have become very useful that we depend on them all our lives. But did you know that there are numbers that are believed by many to be unlucky? Did you know that there are numbers that are illegal to use in some places? In this post, I’ll give you some interesting examples of such numbers. The Pythagoreans, a group of mathematicians led by Pythagoras, believed that everything is about whole numbers. They also believed that every quantity can be expressed as ratio of two integers. When Hippasus discovered the existence of irrational numbers, the Pythagoreans would not accept his discovery. As a result, he was supposedly drowned for it. The number 13 is believed by many to be unlucky. Up to this day, there are many buildings that have no 13th floor. In fact, there is even a term for fear of number 13. It’s called triskaidekaphobia! 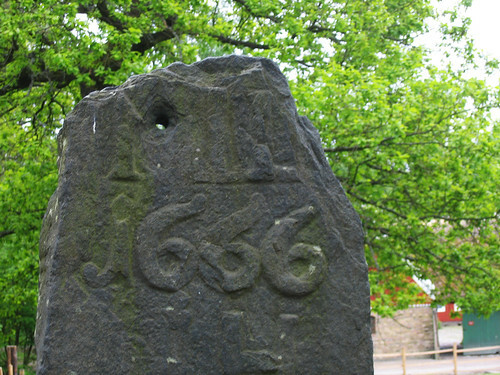 In Christianity, the number 666 is forbidden to be used and feared because it is said to be the number of the devil. 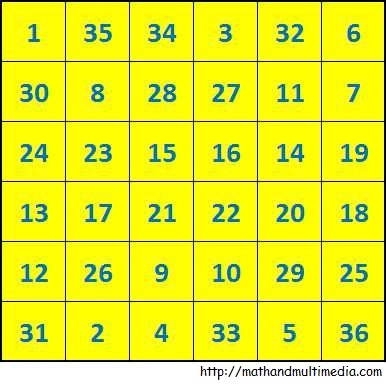 During the early times, the possession of the magic square whose sum is 666 (see figure below) could get you in a lot of trouble. You guessed it right, during those times a magic square could get you to be burned at stake if you are not so lucky. In China, it illegal to use the date ( June 4, 1989) of the Tianamen Square massacre as pin or password. So, it is illegal to use numbers like 8964, 6489, 060489, etc. In the US, there are hexadecimal numbers that are technically illegal to publish since they can be used to decrypt DVDs. The Advance Access Content System (AACS) claims to have a copyright to these numbers. It was leaked however and was published in more than 300,000 websites. It should be noted that aside from the illegal, unlucky, and forbidden numbers above, negative numbers, complex numbers, and transfinite numbers were considered absurd by many during their infancy. However, these numbers stood the test of time and have proved to be useful both in pure and applied mathematics.